There is a problem with your watch? 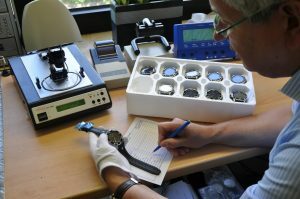 We repair watches of all brands! You will receive a quotation from us. This quotation is made by our watchmaker in our workshop. Then you decide whether the repair is carried out. Only in the case of non-repairs we charge a cost over over € 25,00 plus tax and return costs. In the guarantee case, the repair costs are dispensed with.